HRA is committed to use 100% of your donations to make things happen. As a voluntary organization, no administration or running costs are taken from donations to children. How? Through fundraising and the support of Harley Davidson Saigon, New World Hotel Saigon, Dragon Media International and other sponsors all administration and related costs are met. HRA is a registered, tax deductible Australian charity (No. 14 924 823 901). All donations are tax deductible. 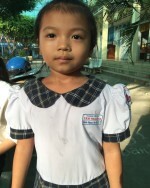 My, because of a shattered and poor family, was left homeless and unable to continue school. 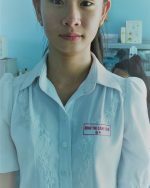 We encouraged her after making contact again, to pursue hairdressing.. which she has succeeded in doing. As a trainee.. wages are less than living.. so support for a couple of years for My will enable her to concentrate on study and developing her practical skills, not trying to just stay alive! 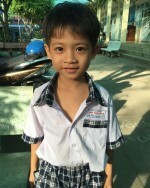 Tien was part of the sponsorship program but graduated from High School and wanted to enter college. Her family situation is very sad.. poor, and struggling for basic needs. 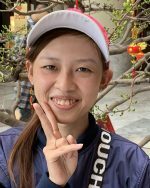 Tien has no sponsors for College, but enrolled to attend and s determined to get some work so she can start at least.. her education levels and English standards are good. It is possible for more than one person to support Tien.. Her attitude and personality are a delight. 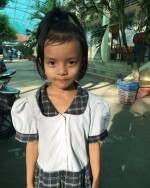 Diknh Ngoc An Ky is desperately in need of assistance. Very poor family paying rent for a shack, and family in debt.